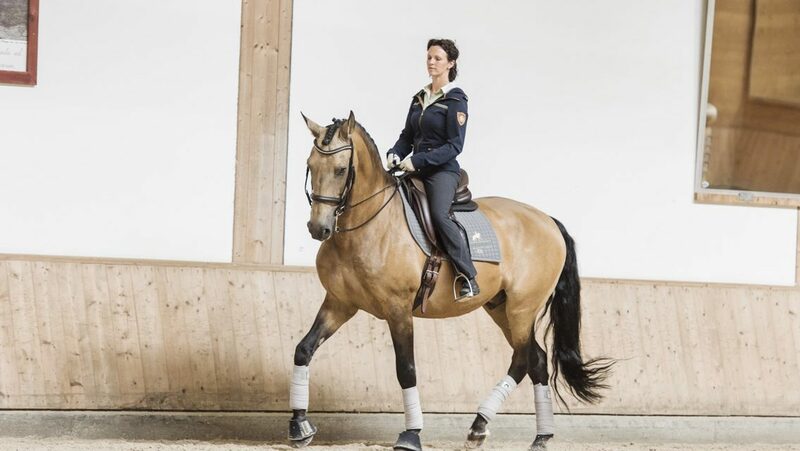 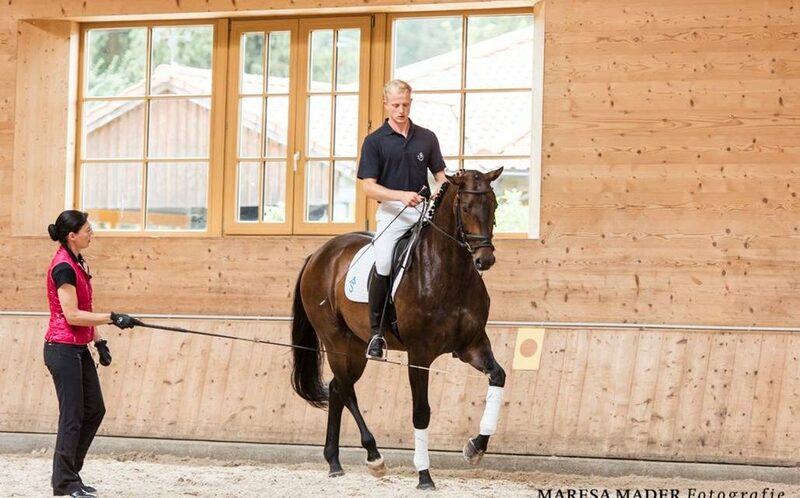 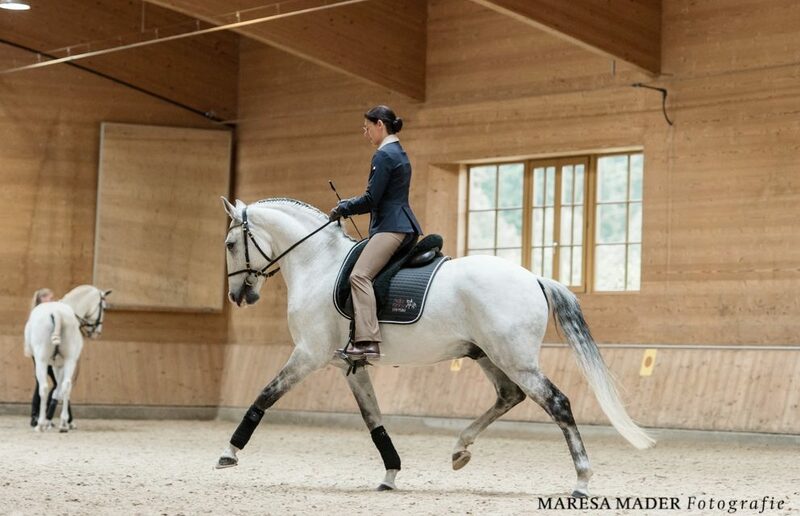 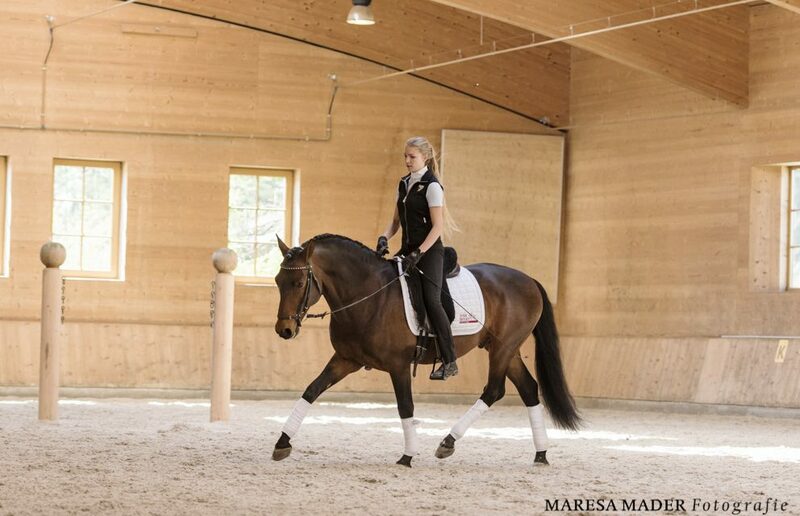 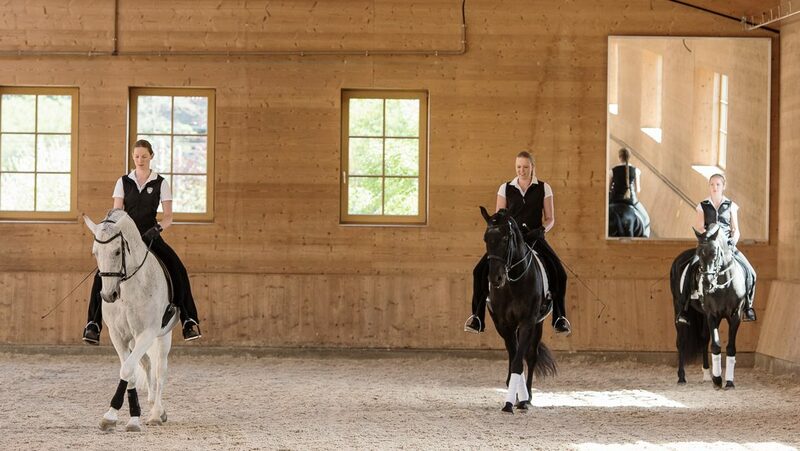 At Gut Rosenhof your horse is trained according to the principles of classical horsemanship. 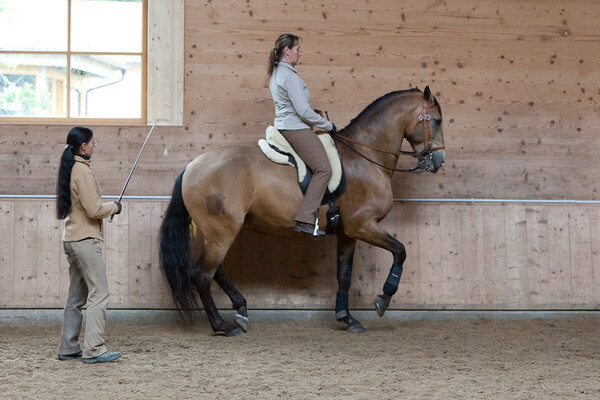 This means we bring on each horse according to the scope of its own psychological and physical potential – without the use of auxiliary reins. 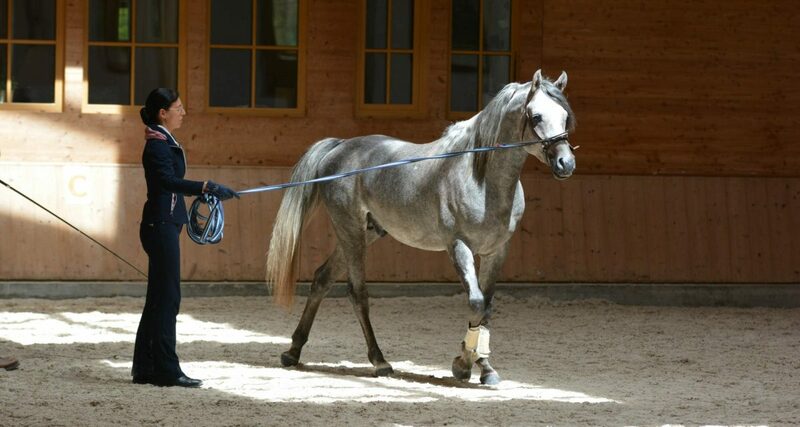 We do not use side reins, draw reins, gogue, chambon or any similar equipment either on the lunge or under the saddle. 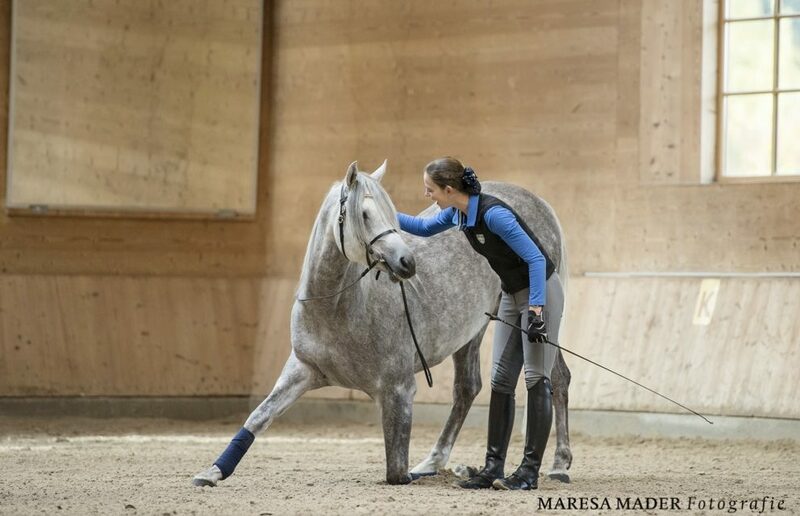 On the contrary we do specific gymnastic exercises in order to develop our horse so that we can overcome asymmetries and relax tensions and help the horse to build up its muscles so that it can carry the rider without any problem. 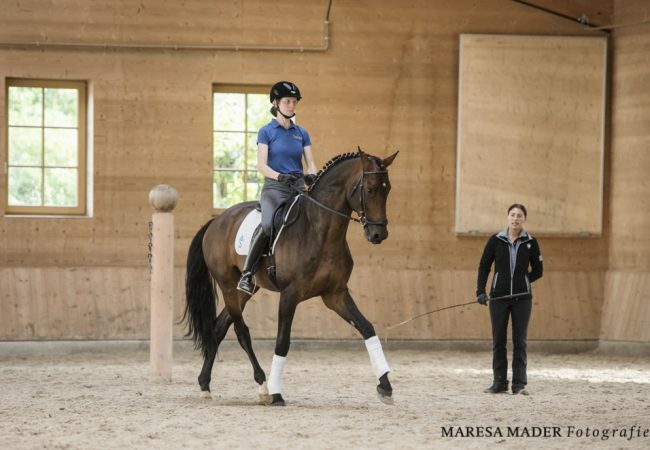 The lateral paces and the piaffe are valuable exercises here. 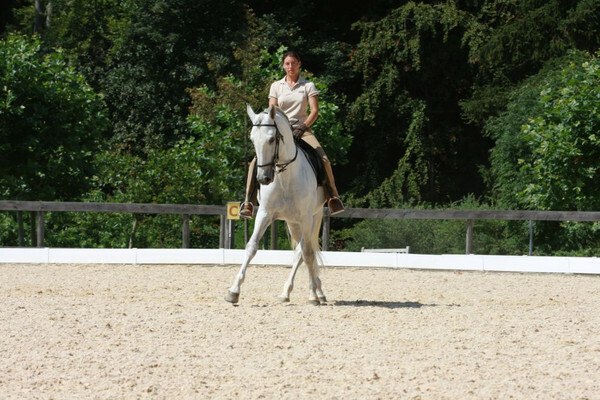 We prefer to have the horses as three year olds, completely green, for training then we can do the basic work and the breaking-in. 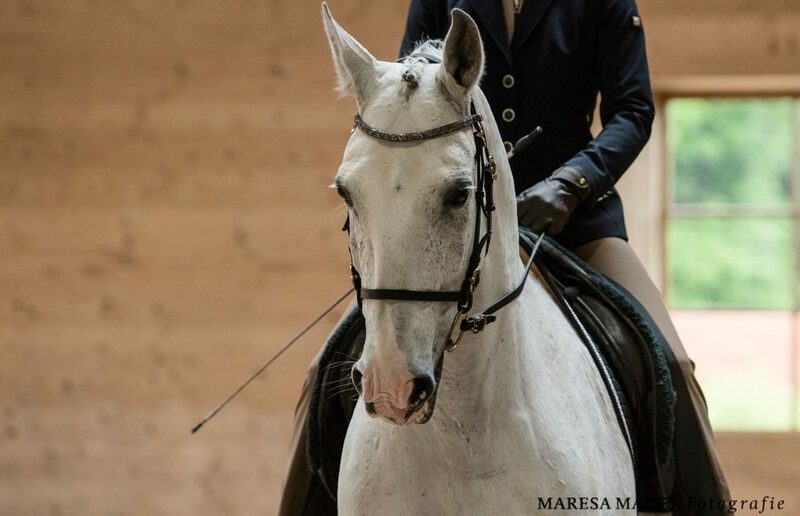 Most horses spend approx. 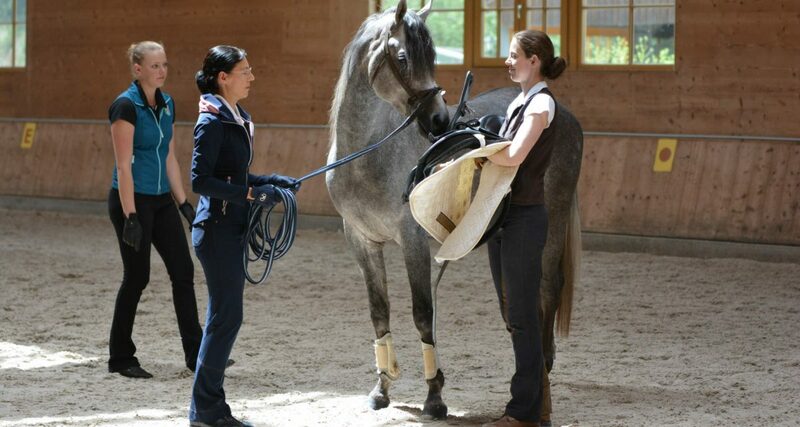 6 years at Gut Rosenhof, until they have been trained! 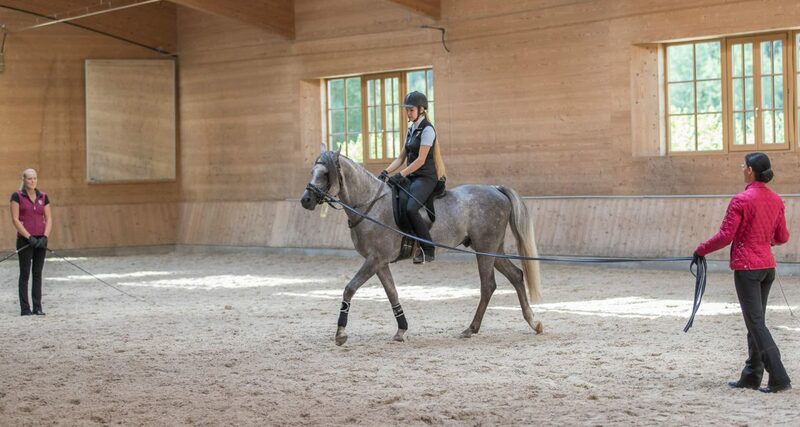 Warmblood stallion in an exemplary stretch position – confirming the benefits of the gymnasticising work which preceded. 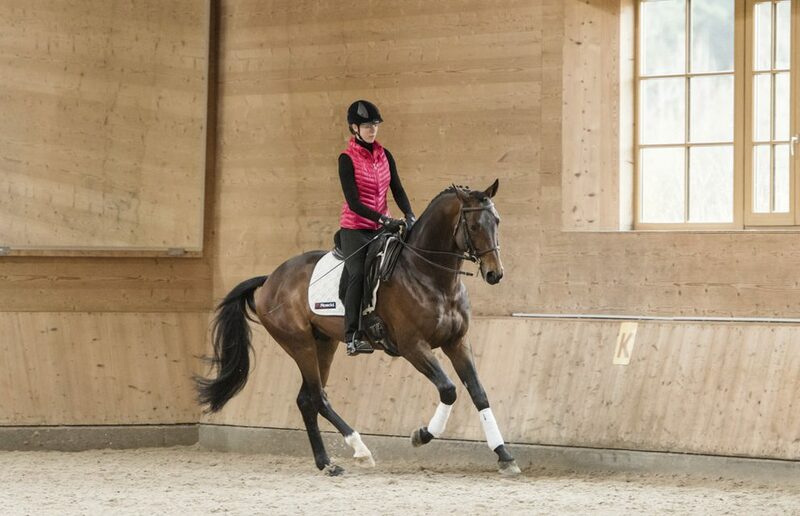 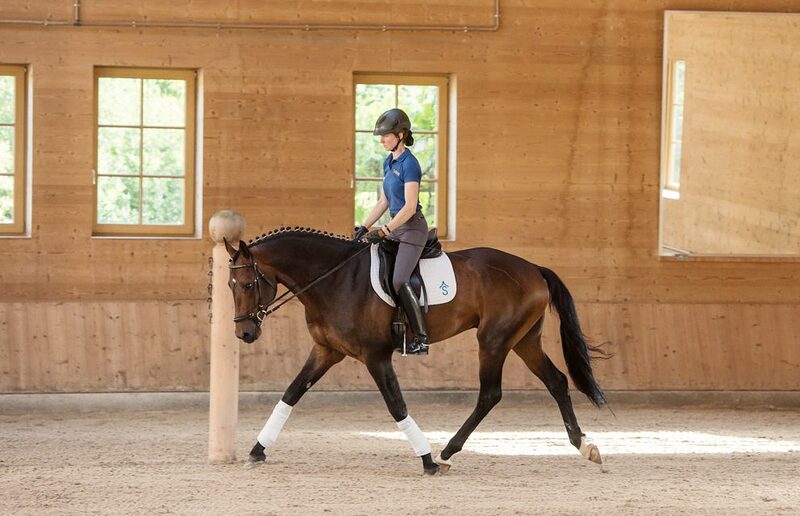 Warmblood stallion cantering free in self carriage, with a beautiful uphill tendency. 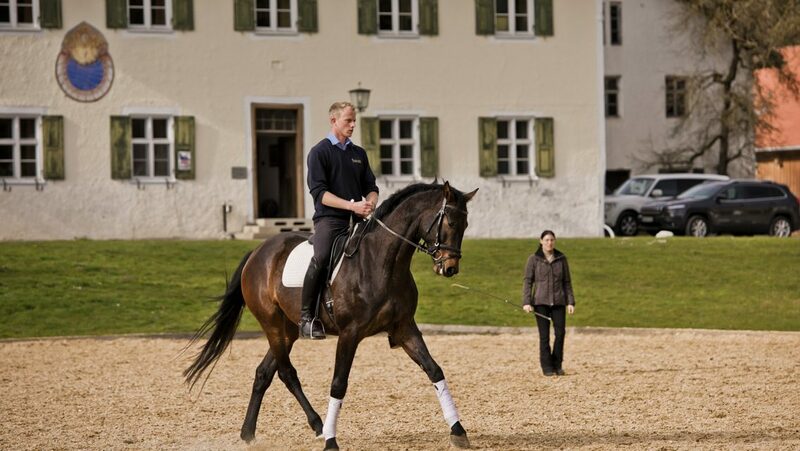 But broken-in horses can also come to Gut Rosenhof for further training or even for correction purposes. 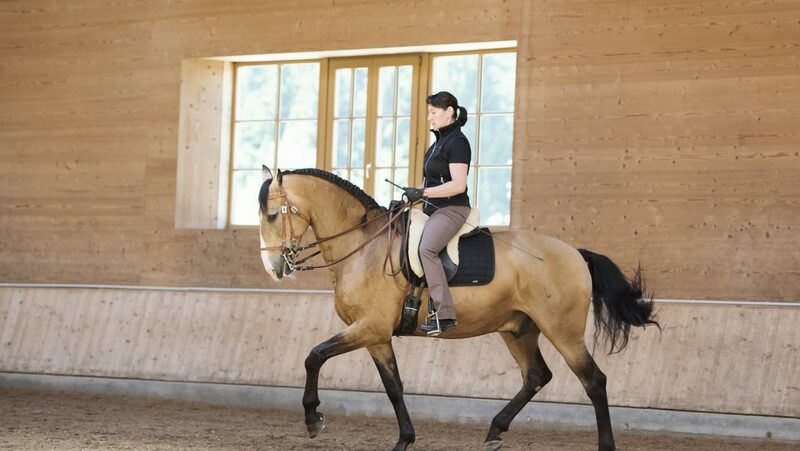 A minimum stay of three months should be arranged, however. 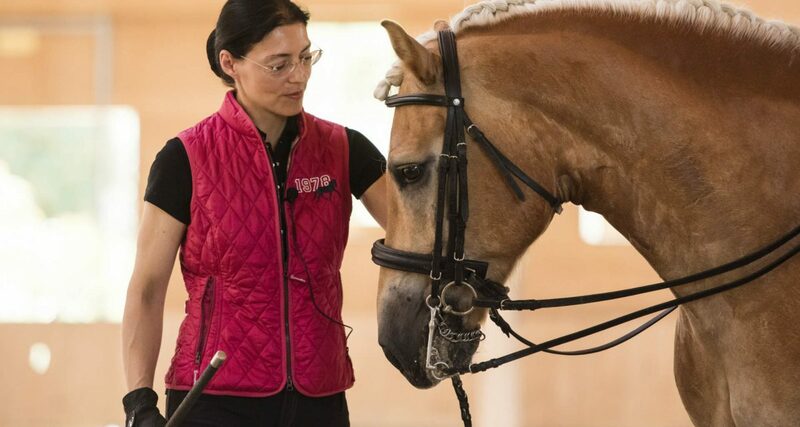 If required, and providing the horse has the relevant potential, training over a period of several years to the highest level is, of course, also possible. 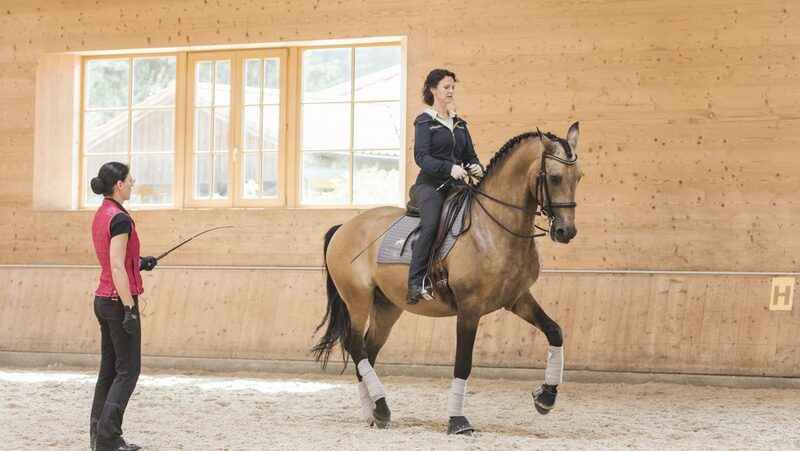 A speciality at Gut Rosenhof is, furthermore, work on the piaffe and passage. 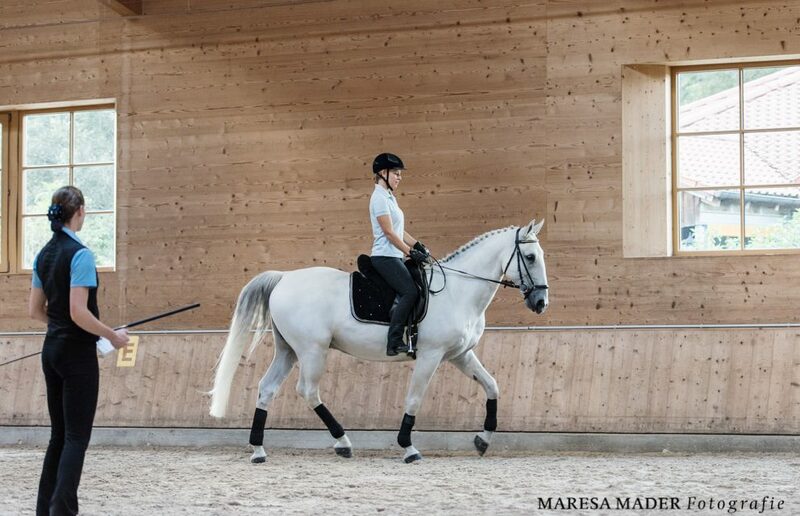 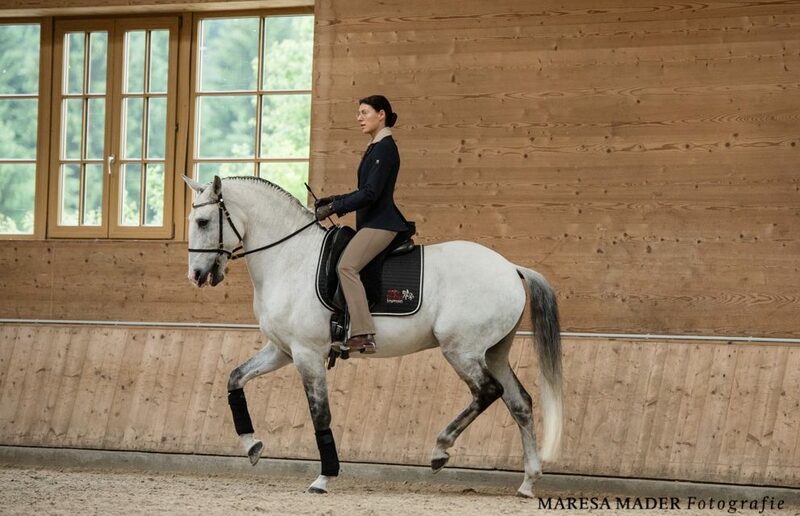 As a horse owner you naturally also have the possibility to have a lesson at least once a week on your horse, in order to make progress yourself. 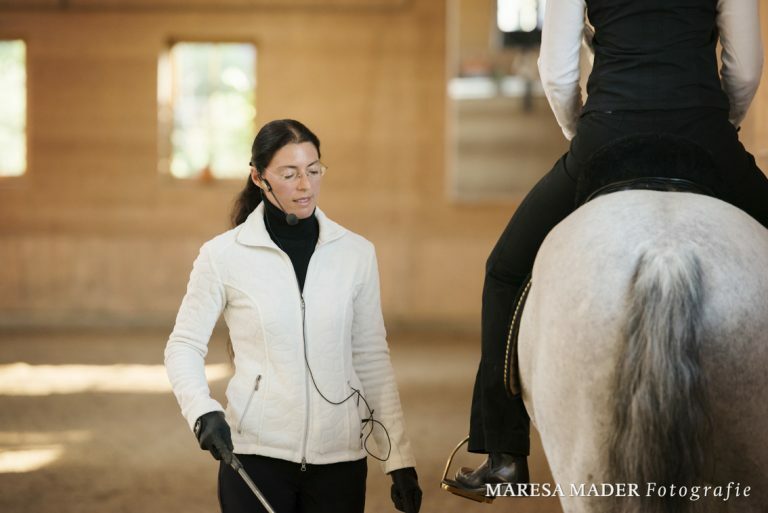 How much instruction is possible and is necessary should be discussed from case to case and organised on an individual basis. 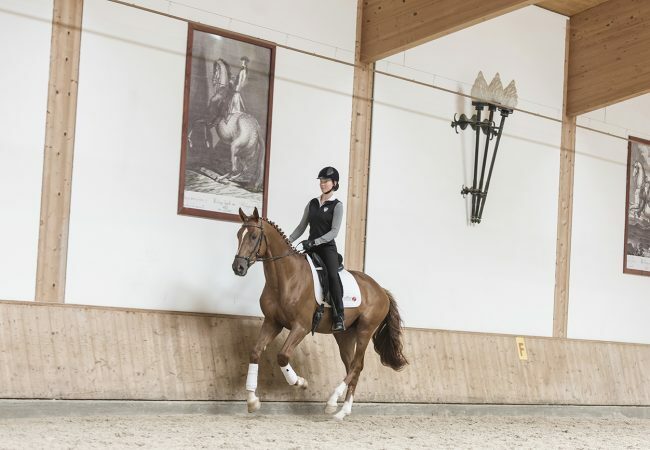 In the riding lessons we place particular emphasis on a correct position in the saddle, because controlled aids can only be applied from a calm, supple seat. 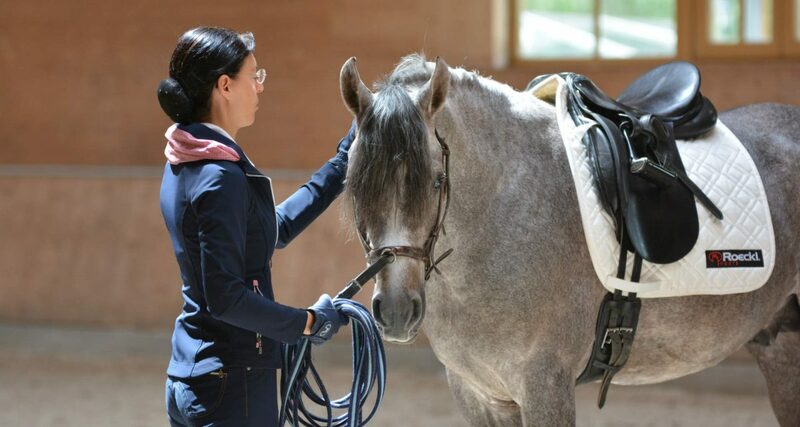 Furthermore we should like our pupils to learn what work is important for their horses and which exercises can improve the horses’ physical constitution. 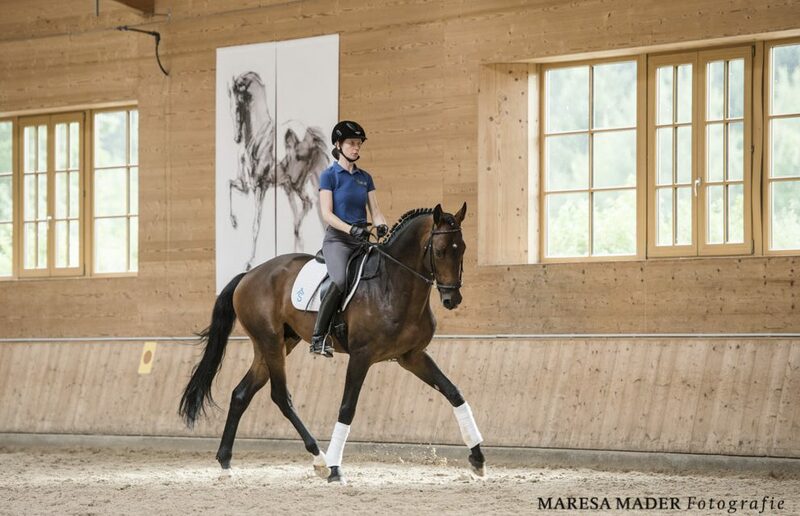 Correct lateral movements, collecting work, but also free forward riding are components of our riding lessons and aim to form our pupils into riders who can gymnasticise their horses as independently as possible on the long term and therefore will certainly not do damage to their horses by means of incorrect riding. 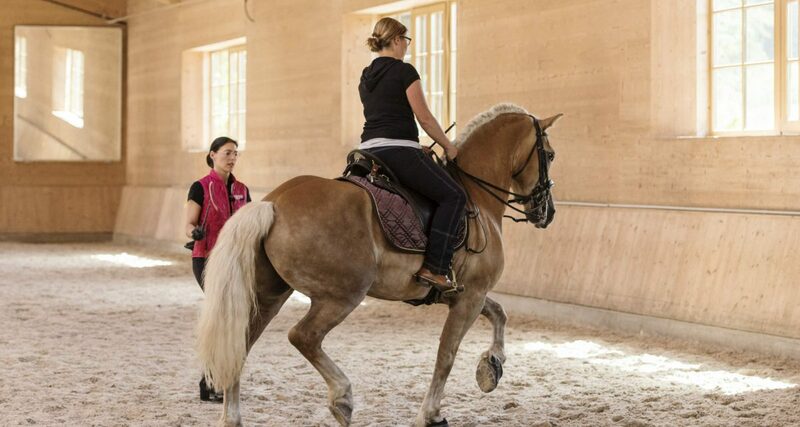 We give riding lessons to the owners of horses we take on in training, but riders can also come with their horses for a weekend or longer in order to take lessons. 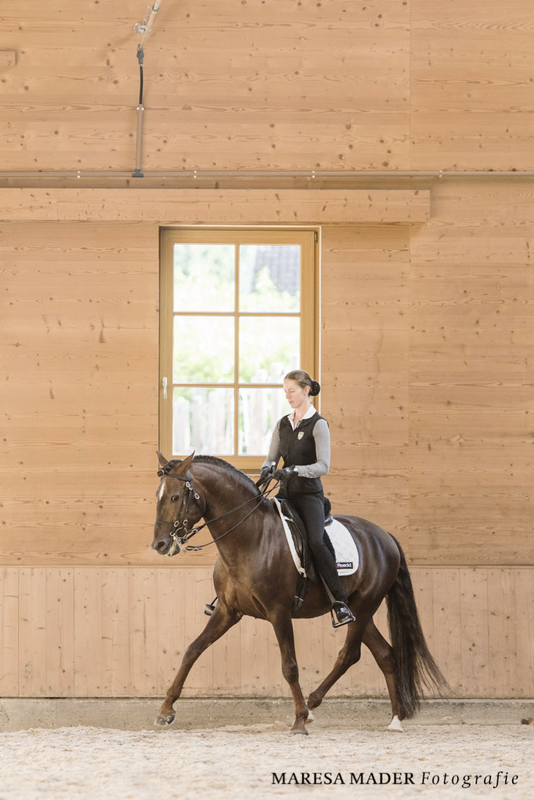 We have a small number of guest boxes available in which to accommodate such horses. 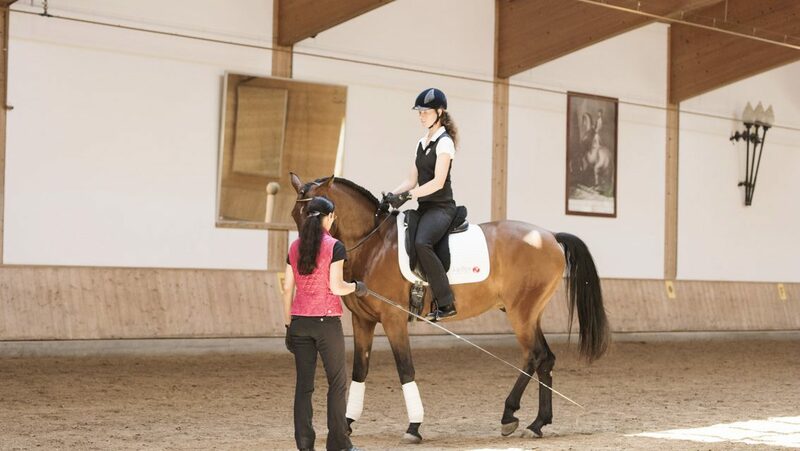 If required, riding instruction can also be given in English or French. 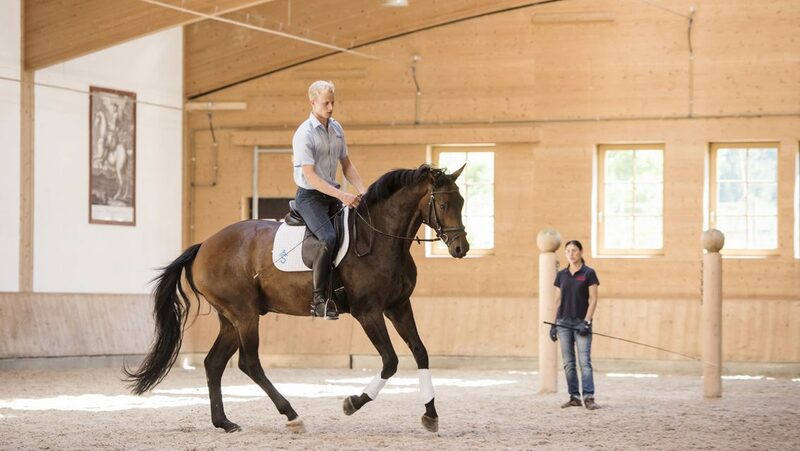 Anyone who lives in the immediate vicinity is welcome to come with his horse just for a single lesson session. 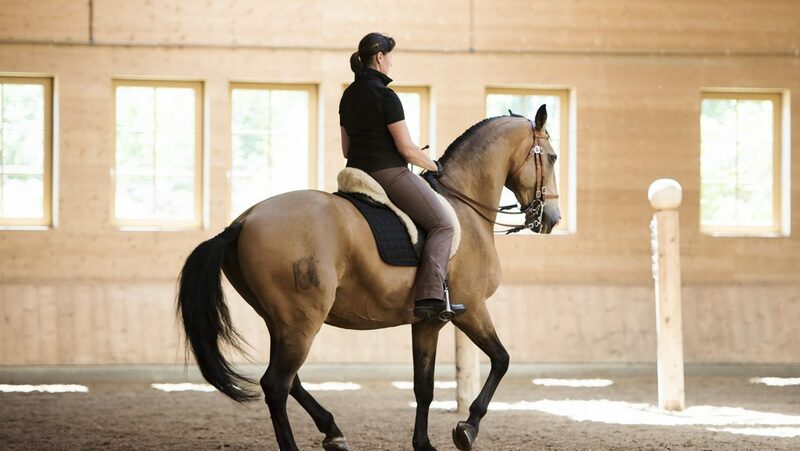 We do not own any school horses which we can make available for such purposes.